It’s Halloween in Verbena, California, and Desiree Turner is doing her best to continue the tradition of not associating the family business with the spooktacular holiday. As much as one might think that Halloween and mortuaries would go hand in hand, Desiree’s father had always believed that the town’s Ghost Tour encouraged beliefs that prevent grieving families from accepting their loss and moving on with their lives. Since a live mic and a few words taken out of context tanked Desiree Turner’s career as a television reporter, she has taken on the responsibilities as assistant funeral director for the Turner Family Funeral Home, with her main task being to not cause trouble. She hasn’t been that successful so far, which is why she attempts to tamper her suspicions about the strange accusations made between Iris and Daisy Fiore when planning their father’s service. It’s not like Desiree doesn’t have already enough on her plate, since the distant cousin of the recently deceased Violet Daugherty has delegated all of the planning and wrapping up of affairs to Desiree. Cleaning up Violet’s apartment opens a Pandora’s Box of secrets and reveals a new side to the lonely woman, whose only real attachment seemed to be to fifty-pound puppy. Orion proves to be a surprisingly effective therapy dog, which is why Desiree’s stomach cramps with pain every time she thinks of having to find him a new home. Despite the declaration by snotty Verbena police officer Luke Butler that there was nothing shady about the Fiore death, all of Desiree’s journalistic instincts indicate otherwise. It’s why she is compelled to start her own investigation, even when those she cares about believe that Desiree may still be affected by her own father’s fate. Her refusal to stop this leads to a drastic drop in mortuary business when clients worry that having a love one interred at the Turner mortuary also means possibly being accused of murder, so Desiree’s uncle and her very pregnant sister demand that she immediately cease. That’s a promise Desiree is guilted into making, until an unexpected discovery connected to her father’s disappearance makes that impossible. Not surprisingly for someone raised in a mortuary, and having grown up around death and dead bodies, Desiree displays a black and often morbid sense of humor. She did her best to escape her home the second she could, yet the reliance she has on her family makes her empathetic towards Violet’s apparent isolation. This compassion, not to mention to her sharp-witted observations and wry humor, ensure that Desiree is irresistibly likable and a joy to follow as a protagonist. There is vulnerability as well when faced with the disbelief of those she loves, which is why it’s a relief when her former boyfriend Dr. Nate Johar’s encourages her curiosity. In fact, Desiree has far more support than she realizes. 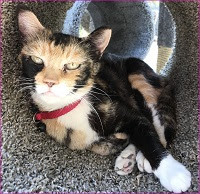 Doing freelance reporting for the Verbena Free Press gives her an official avenue of investigation, highlighting her professional integrity and skills. Despite the mortuary setting, this is a fun and entertaining mystery series that continues to build suspense as Desiree seeks answers in her own life. This second in the series exceeds the high standards set by its debut, and should leave readers anxious and more than ready to see what follows. 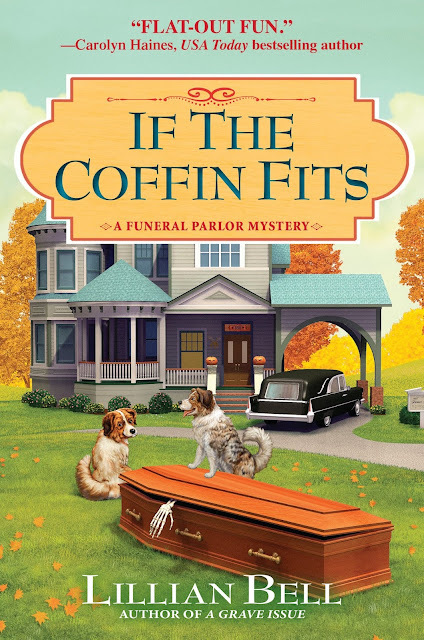 To enter to win a copy of If the Coffin Fits, simply email KRL at krlcontests@gmail[dot]com by replacing the [dot] with a period, and with the subject line "coffin,” or comment on this article. A winner will be chosen October 20, 2018. U.S. residents only. If entering via email please include your mailing address (so if you win we can get the book sent right out to you), and if via comment please include your email address. You can read our privacy statement here if you like. Check out other mystery articles, reviews, book giveaways & mystery short stories in our mystery section in Kings River Life and in our mystery category here on KRL News & Reviews. And join our mystery Facebook group to keep up with everything mystery we post, and have a chance at some extra giveaways. And check out our new mystery podcast which features mystery short stories and first chapters read by actors! Thanks for the review of the book. It sounds good! Thanks for the chance to win. Sounds like a fun book for getting into the Halloween spirit. Another new to me author & series that sounds like a must read. Looking forward to reading this book. Thanks for the giveaway. This sounds like a fun book from a new to me author! Then or the chance! Looks like a great start to a new series. Looking forward to reading.